15 days salary for each completed year of service or part thereof exceeding 6 months. 'Salary' for this purpose will include dearness allowance and it will be last drawn salary. Salary for this purpose shall include Dearness allowance if the terms of employment so provide. - Further, if a fixed percentage of commission on turnover is given it shall be included due to the Supreme Court case. Average salary here means average of the above salary for the last ten months immediately proceeding the month in which the event occurs. If an employee receives uncommuted pension, it is taxable, but there is some exemption in case of commuted pension. The commuted pension in case of Government employee of local authority & employees of corporation, if the commutation is as per their rules, shall be fully exempt. In case of any other employee, it shall be exempt to the extent of ..
- commuted value of 50% of the normal pension in case the employee is not in receipt of gratuity. - The exemption shall be 1/3rd in case he is in receipt of gratuity as well. 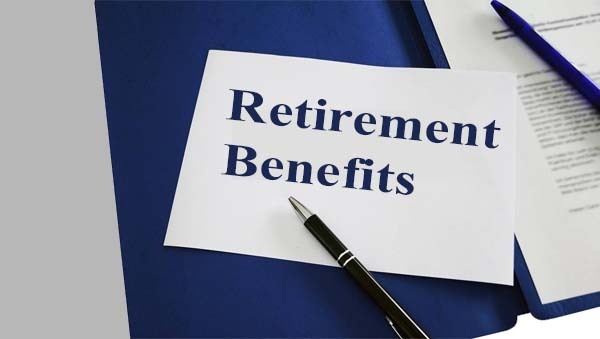 Encashment of accumulated leave to the Government employee at the time of retirement on superannuation or otherwise shall be fully exempt. (2) Cash equivalent to the unavailed leave calculated on the basis of maximum 30 days leaves for each completed year of service. (3) 10 months average salary. Salary for this purpose shall have same meaning as is given in case of gratuity above. Average salary means average of the salary of last 10 months immediately proceeding the retirement. If the payment is received by an employee after 5 years of continuous service, it shall be fully exempt. - Further, if the payment is received before 5 years due to ill health or disablement or death of the employee or due to any reason beyond his control, it shall also be exempt. 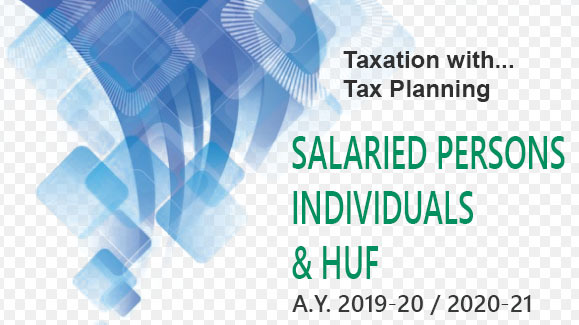 If the payment is received before 5 years, then the employees contribution plus interest thereon till date shall be taxable as 'profits in lieu of salary'. 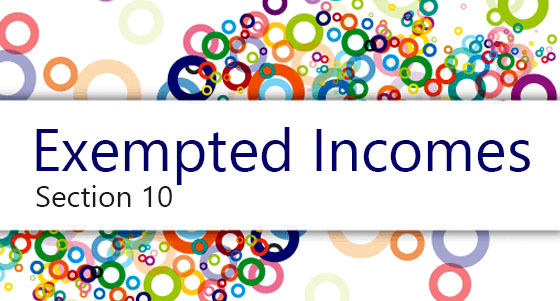 Interest on employees contribution shall be taxable under the head 'income for other sources'. Any retrenchment compensation received by an employee under the Industrial Disputes Act or under an order or award or settlement of Court, shall be exempt. Any compensation received/ receivable by an employee under an approved Voluntary Retirement Scheme shall be exempt to the maximum extent of Rs. 5,00,000.